The staff at the Polish Room in Orlando, Fla., keeps backgrounds handy for post-mani photos. with colorful wallpaper. Your brand should have a color palette of three to five colors and you should be using them consistently across everything you do. 2. Find a background theme for your online photos and make the theme stand out — it might be flowers, sunsets, geometric patterns, or a step-and-repeat with your logo or Instagram handle. Your photos should follow a similar visual style to create a branded look. 3. Improve the lighting in your salon. This not only creates a better mood within the space, but your photos will turn out better too. Another option is to buy or build a lightbox for photos with a fresh, professional look. 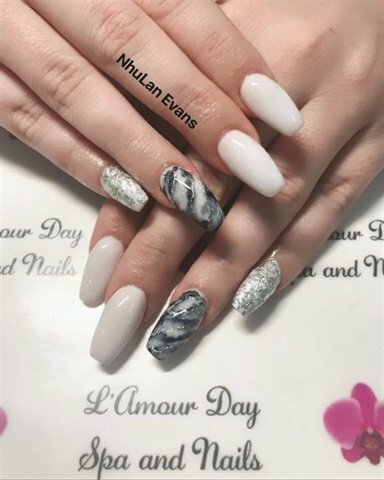 It’s easy to change the background to match your nail colors, but posing hands inside a lightbox can be difficult, so take the time to get it right. 4. Carve out a small dedicated area where you can take pictures. Check sites like Etsy for beautiful but inexpensive wall decorations. 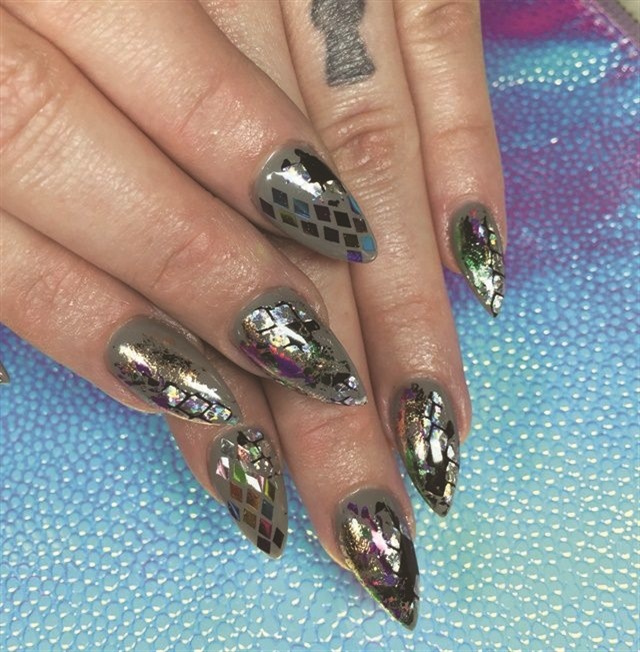 Before leaving the salon, clients can snap a pic of their finished nails in a lightbox.